It was not a good day for Inspector Jackson. He spotted an illegally parked car and when he told the driver to move on, the man's head fell off! Then he identified the car and the body as belonging to George Barran, wealthy landowner, and with fingerprint evidence proved that the body somehow murdered itself. But he was really surprised when George Barran, alive and angry, showed up at the police station later that afternoon complaining about being bothered by the police. And the Inspector hasn't even been to the Barran estate yet, where he will find a huge green toad. What the hell is going on? 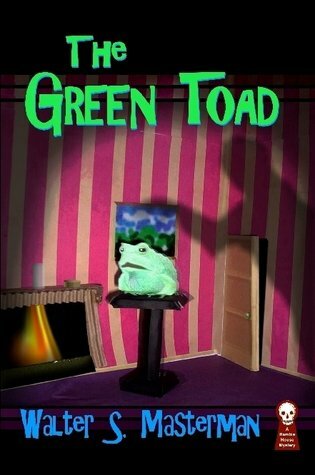 The Green Toad (1929) is the first of at least three intriguing Masterman mysteries that Ramble House hopes to publish this year.